At Budget Edinburgh locksmiths, we believe the most important part of anyone’s home security is the OUTSIDE of the property. This is what any criminal will have to cross before reaching the property. Therefor safeguarding this area should be a homeowners main priority. If the property has gardens, there are ways they can they can be made a nightmare, for any would be thief. If the gardens have walls or fences, they could be painted at the top with vandal grease – overlapping the edges to make visible. This will make people think twice about climbing them. Another security measure could be to install wall spikes. These spikes are cheap, and easy to install – not to mention an excellent visual deterrent. Homeowners could also plant new bushes, hedges or trees. Hedging plants like the Leylandii are extremely fast growing, and can make accessing a garden very difficult. If traditional wooden doors secure the property, make sure they are fitted with a 5 lever British standard mortice lock. These types of locks are almost impossible to force open. They are also a requirement for almost all insurance policies on the market. If the property is secured with multi point locking doors, insure they are fitted with a high security Euro lock. At Budget Edinburgh locksmiths, we install high security anti snap Euro locks for as little as £75. These locks will insure nobody can pick, drill or snap the lock out of the door. As for windows. Make sure they are fitted with locking handles – and the keys are not left in the locks. If the windows are lift up sash windows, having sash stops installed is a cheap and effective way of preventing a window from being forced open. The external walls the property could have motion sensored lights or CCTV installed. These act as a great visual deterrent, for intruders scanning for a target. Most thieves will move on to an easier target, when there is a risk of being caught! This article was designed to increase awareness, and give an insight into the psychology of an intruder. For any questions or further advice, give Budget Edinburgh locksmiths a call. 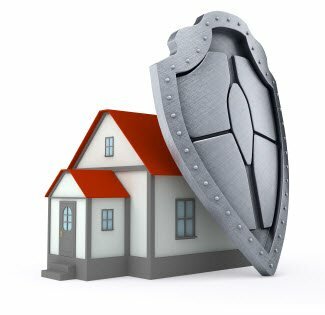 We can arrange a free home security survey at your convenience.